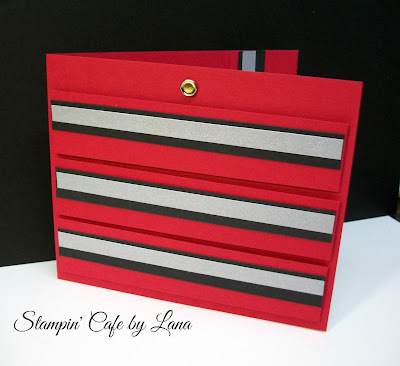 I am always on the lookout for a gift card holder! 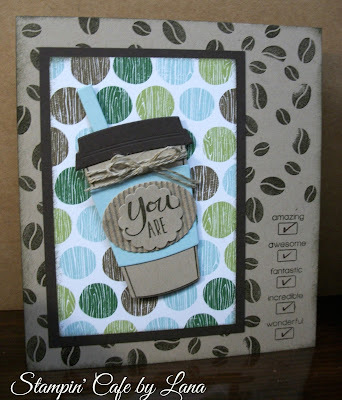 I found this particular fold from Rachel Tessman (Stamp Your Art Out) that is super easy to make! You start with a piece of cardstock cut to 4-1/4 x 11 inches. On the 11 inch side, score at 4-3/4 inches on one end and 1-1/2 inches on the other end. Fold the card in half at the 4-3/4" score line and then fold up the bottom at the 1-1/2" score mark. This is the card holder. 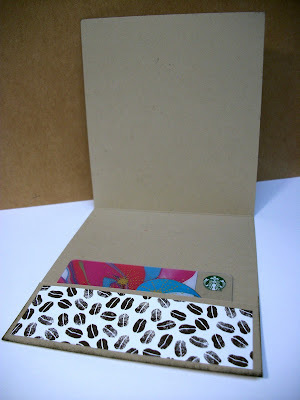 Use thin tape or glue dots to hold the gift card holder flap shut, only attaching at the very edges of the cardstock. It's that easy! I added a piece of patterned paper cut to 1 x 4 inches to the flap. This is optional. 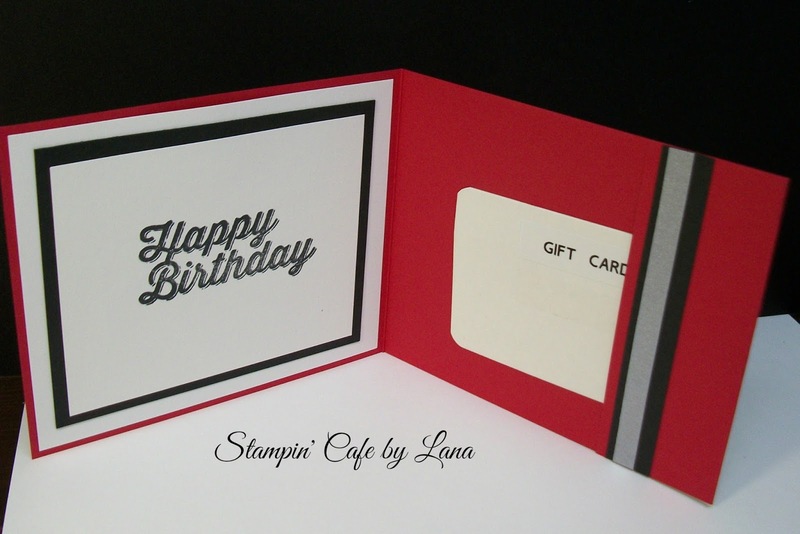 This card starts with a piece of cardstock cut at 4 x 11 inches. Other than being 1/4 inch narrower, it is made the same as the coffee cup card above. I added the faux drawers on the front of the card the same way I did in my previous Toolbox Treat Holder (see that post I linked above). I cut three strips of red cardstock at 1 x 4-1/2 inches, the black strips at 1/2 x 4 inches, and the silver strips at 1/4 x 4 inches. I glued all the pieces for each drawer together and then attached them to the card front with dimensional tape. I added a brad at the top to resemble the lock mechanism on a toolbox. You can decorate the inside of the card anyway you want. I layered a birthday greeting onto white, black, and white cardstock. I also added another strip of black and silver cardstock to the fold-up flap for the gift card. The gift card can be added either vertically or horizontally.